0 | 10 students enrolled. 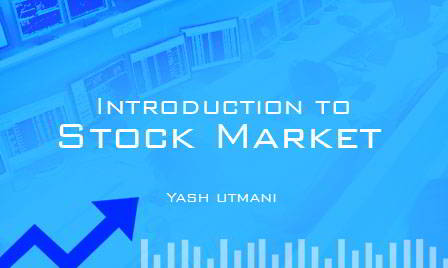 Getting started in the stock market can be intimidiating for a beginner.This course aims to enable the students to get a complete understanding of the Stock market basics. It will help the participants to gain knowledge on the various terminologies used in the Stock markets.This programme will also teach the learners the basics of stock trading as well as the role of stock exchanges and financial intermediaries in the Stock Markets. After successful competion of the course, the studnets will get a "Certificate of Completion"
Who all trade in the Stock Market? Why is Stock Market important? Who sets the price in the Stock Market? How much amount should one invest in Stock Market as well as particular stocks? This course is designed for those who are new to the stock market and would like to quickly get up to speed on the basics of the stock market. After successful completion of the course, the students will need to appear for an online examination , hosted on the website of www.elearnmarkets.com. •The student has to appear for an examination hosted on the website itself under “Test section >> Certification Test"
•Once the student successfully clears the examination, the certificate of completition will be genrated. •Qualifying Marks: 40% . No negative marking for this course. After successful completition of the examination , students can download soft copy of the certificate from the webiste: www.elearnmarkets.com itslef.